An observer of this holiday would greet friends not with “Hello, everyone!” but with “Ahoy, maties!” or “Ahoy, me hearties!”. The holiday, and its observance, springs from a romanticized view of the Golden Age of Piracy. On September 19, 1778, the Continental Congress passed the U.S.’s first federal budget. In 1881, President Garfield died of sepsis from wounds inflicted in an assassination attempt on July 2. Chester A. Arthur, the Vice President, took over at the helm. And here’s the story of a hero (click on the link): it was on this day in 1940 that Witold Pilecki was “voluntarily captured and sent to Auschwitz to smuggle out information and start a resistance movement”. A member of the Polish Resistance during the War, Pilecki was summarily executed by the goddam Soviets in 1948 (Russia didn’t like the Polish Underground). On this day in 1952, accused of Communist sympathies, the U.S. government barred Charlie Chaplin from returning to the U.S. after Chaplin had made a trip to England. 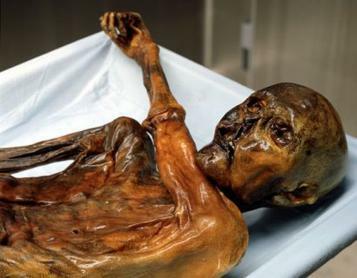 On September 19, 1991, the frozen corpse of Ötzi the Iceman was discovered in the Italian/Austrian Alps. 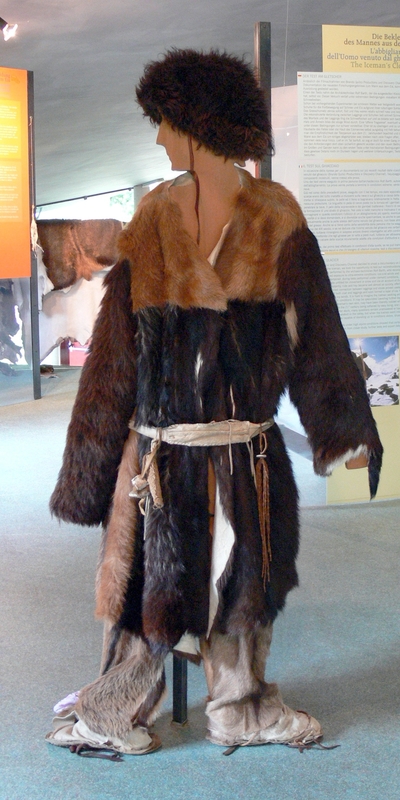 Here he is, along with a reconstruction of his clothes. He’d eaten ibex meat a few hours before his death, and had an arrow embedded in his scapula—probably the cause of death. Finally, it was on this day in 1995 that both The Washington Post and The New York Times published the Unabomber‘s manifesto. In December 1962, “The End of the World” peaked in March 1963 at No. 2 on the Billboard Hot 100 (behind “Our Day Will Come” by Ruby & the Romantics), No. 2 on the Billboard country singles, No. 1 on Billboard’s easy listening, and No. 4 on Billboard’s rhythm and blues It is the first, and, to date, only time that a song cracked the Top 10 on all four Billboard charts. 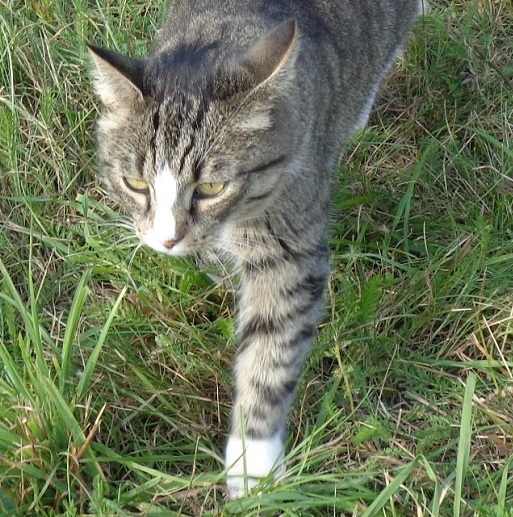 Hili: I’m walking with murderous grace. A: I’m afraid that it’s for obvious ends. Hili: Idę z morderczą gracją. Ja: Obawiam się, że w wiadomych zamiarach. Cat has best reaction to farting dog. Tweets from Matthew. Can you spot the caterpillar in the picture? It’s in plain view! NOTE: I’ve since found that this ad is a fake. This entry was written by whyevolutionistrue and posted on September 19, 2018 at 6:45 am and filed under Hili Dialogue. Bookmark the permalink. Follow any comments here with the RSS feed for this post. Both comments and trackbacks are currently closed. Did we have the mummified wolf & reindeer the other day? Did you see that Przewalski horses are in fact feral & not descended from wild horses? First Continental Congress – 1774? That song sounds just like 1962. I am not sure that the Welles ad is actually an endorsement. I personally have never had a craving for a “mallow-based confection,” and I wonder if he ever did. If anybody deserved a Film about their life, it has to be Witold Pilecki. Yes! Thank you, Prof. Coyne, for writing about him. About the ‘cat tracks’, the text in Spanish says 30 thousands, not millions. i was about to mention that. I havs noticed that many English speakers confuse mil with million. Da hell was Skeeter Davis doin’ on the R&B charts? I’m guessing that Orson Welles peeps ad was back in the olden days, before irony died. 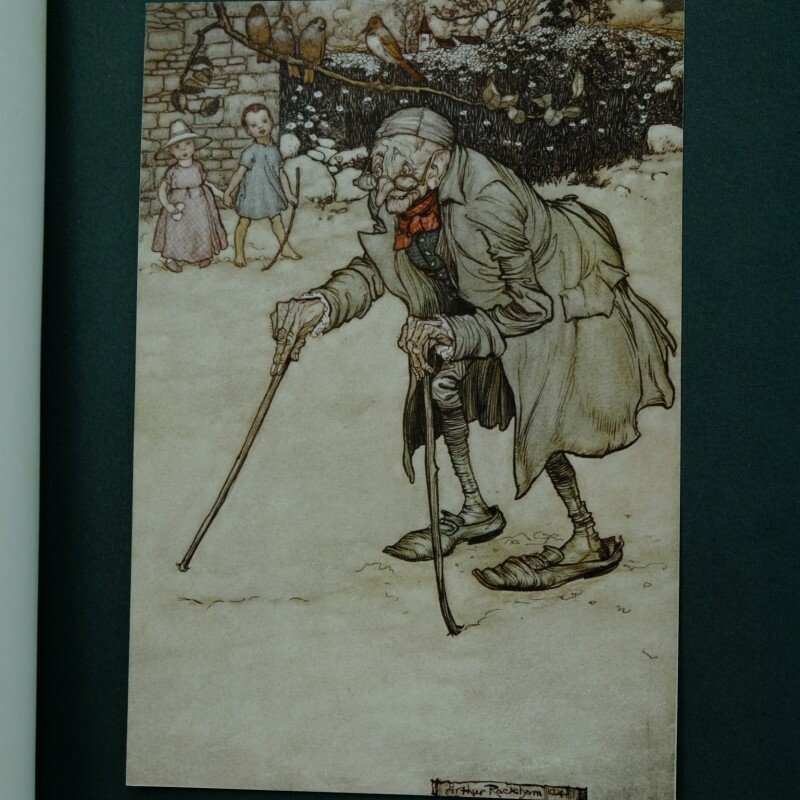 I wish he’d stopped his story before those last years of selling wine and candy. Peeps have changed, they now contain something that keeps them from getting stale. That is a disappointment because I loved them only after they got dried out and crunchy. Oh, Ken, Rita is SO right! Chewy-crunchy Peeps are the BEST and indeed take far too long to create these days with whatever they add. I would strongly defend the use and usefulness of emoticons. Given that it is notoriously difficult to discern ‘tone of voice’ on the Internet, and even more difficult to detect irony, I would think that the basic : ) emoticon has done more to ensure world peace than all the Mutually Assured Destruction in history. Is this a good place for bad pirate jokes? What sort of information return does the pirate issue in January? Q: Why are pirates so scary? I’m perplexed why you, as an “honorary Kiwi,” failed to note that on 19 September 1893, New Zealand became the first country in the world to give women the right to vote – more than 25 years before either the USA or Britain got around to doing so. The 125th anniversary of that momentous occasion was widely celebrated yesterday with commemorative events taking place throughout the country.